Everyone has heard of Sydney Crosby and is aware of his recent down time due to concussions. Good thing he wears a mouthguard otherwise, what other injuries might he have had so far?! Of all the body parts, the mouth area is injured the most during contact sports. 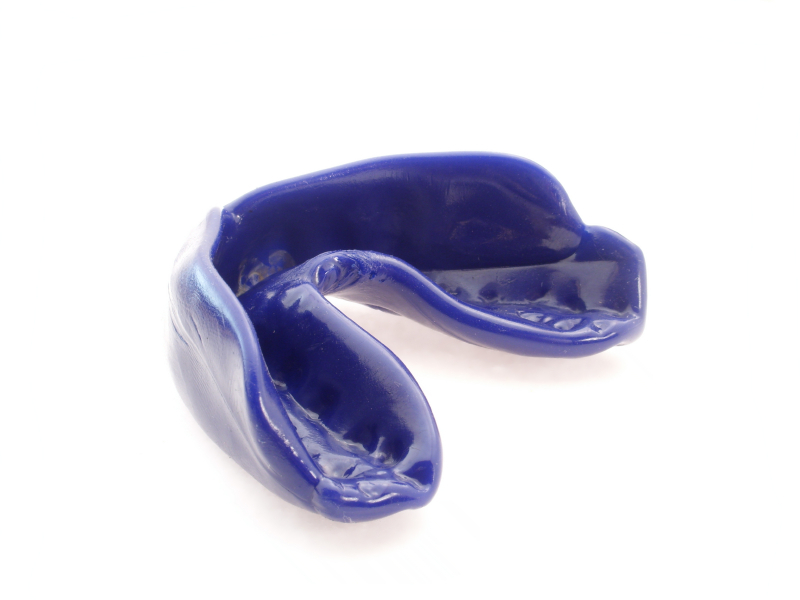 Wearing a mouthguard is a good idea during any sport where the mouth is at risk for injury. It can help prevent serious injuries like broken jaws, chipped teeth and cuts to your tongue and cheeks. A mouthguard acts like a protective shock absorber that helps to protect and cushion your teeth, lips, mouth and jaw when playing contact sports. Custom-made, are made by an oral health professional and are individually designed, which ensures the best fit. Self-adapted can be purchased. They are moulded to fit the mouth by boiling the mouthguard in water and then biting into the warm plastic. Ready-made can also be purchased. They come in many different shapes and sizes, but little can be done to adjust the mouthguard to fit the mouth properly. They are often very bulky, loose, and uncomfortable. Rinsing under cool water after each use and air drying. Occasionally cleaning it with a mild soap and water. Checking mouthguard regularly for signs of wearing down, tearing or cracking. If this happens it must be replaced. If it is custom made, contact your oral health professional. 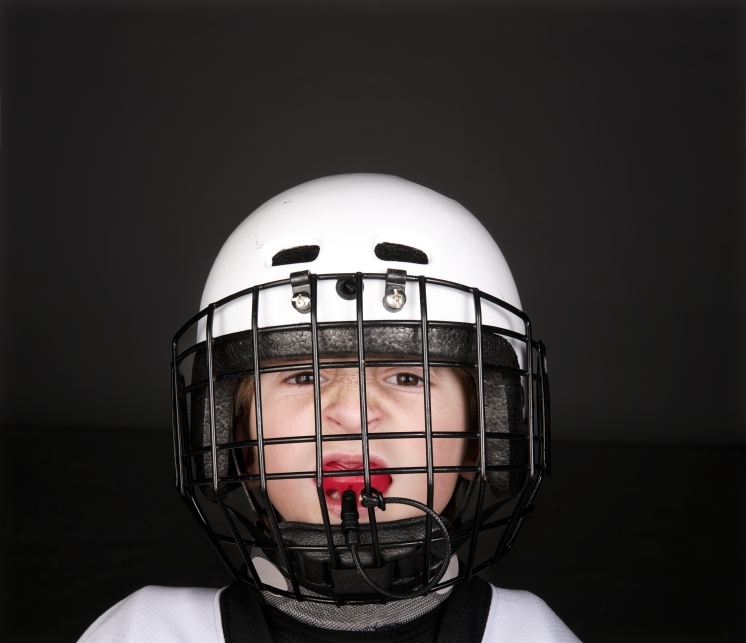 If your children play hockey or any other contact sport, keep them safe by having them wear a mouthguard. Sidney Crosby does! Lynn Medland has worked with the Halton Region Health Department as a Dental Health Educator for the last twenty five years (1986). During this time, she has gained experience working with, and supporting those whose primary responsibility is to care for older adults and children. She provides in-services to groups of all sizes and backgrounds, one on one consultation and assists with creation of teaching tools for education purposes. Lynn also worked in a private dental office for approximately 10 years before joining Dental Health at Halton Region Health Department. Lynn has been a Certified Dental Assistant since 1979 and is a Member of the Ontario Dental Assistants Association and the Canadian Dental Assistants Association. This entry was posted in Children & Tweens, Keeping Your Child/Tween Safe, Keeping Your Teen Safe, Parenting Your Child/Tween, Parenting Your Teen, Teens and tagged child, contact sports, football, hockey, injury, injury prevention, lacrosse, mouthguard, Physical Health, prevent, rugby, soccer, teen, teeth. Bookmark the permalink.